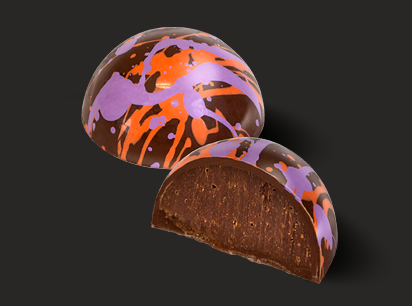 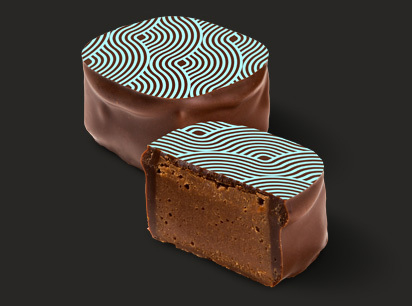 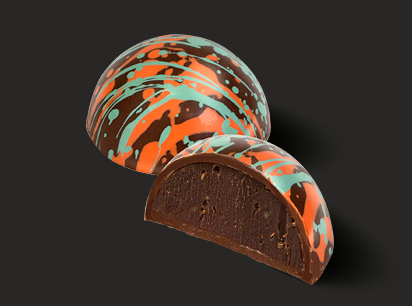 Dark ganache with zesty lime, hit of chilli and pinch of salt. 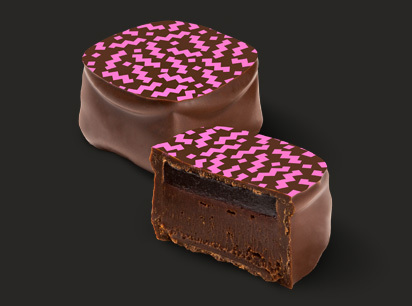 Coconut & cherry layered with milk chocolate ganache. 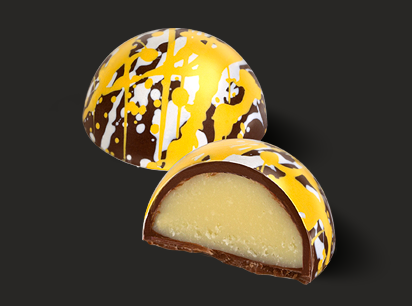 White chocolate ganache splashed with zesty lemon. 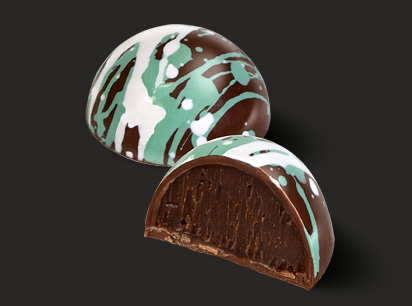 Dark chocolate ganache with a hint of mint. 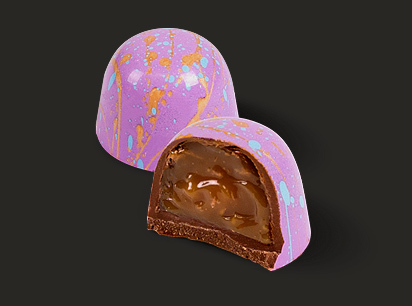 Peanut butter swirled with milk ganache and caramel. 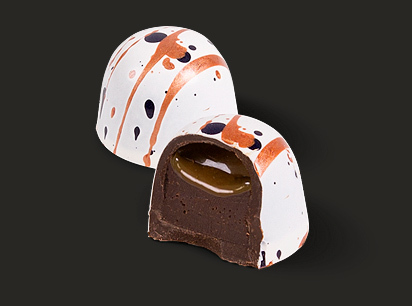 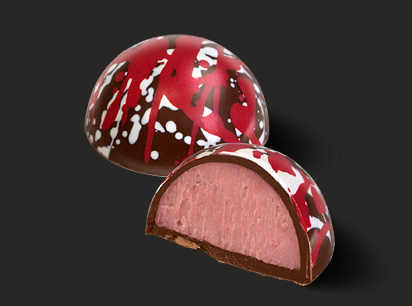 Care: These chocolates may contain traces of nuts, alchohol & dairy products. 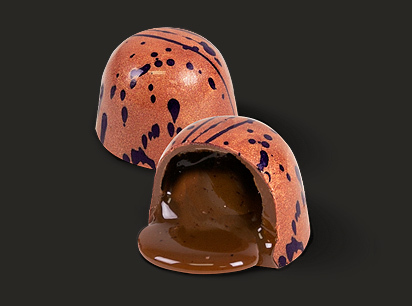 Store chocolates in a cool, dry place between 19 & 22°C. 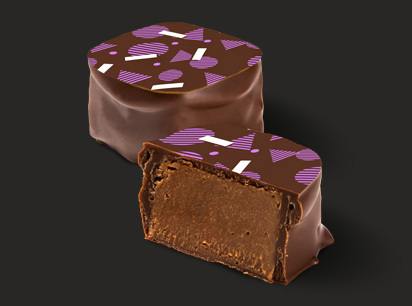 Made in Australia from local & imported ingredients. 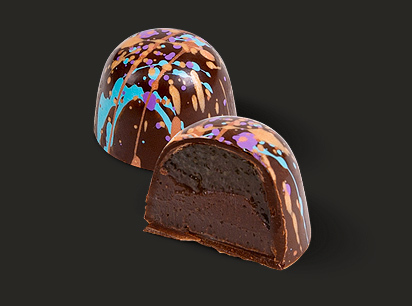 Ingredients: chocolate: (sugar, cocoa butter, whole milk powder, cocoa mass, emulsifier (soya lecithin), natural vanilla), cream, glucose, honey, glace cherry, coconut, strawberry paste, natural lemon oil, peanut butter, caramel, butter, chilli, natural mint oil, colours, flavours, salt. 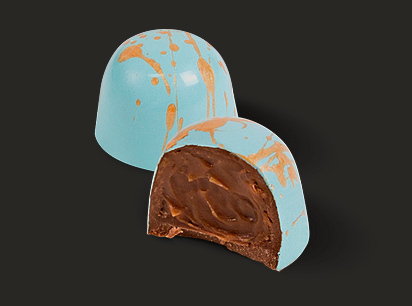 Care: These chocolates may contain traces of nuts, alchohol & dairy products. 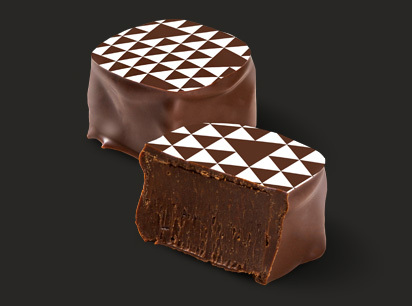 Store chocolates in a cool, dry place between 19 & 22°C. 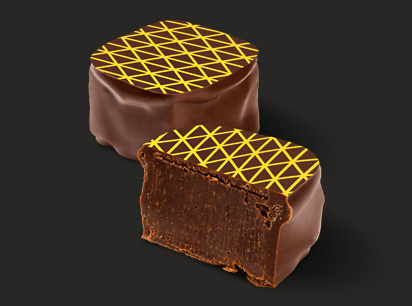 Made in Australia from local & imported ingredients. 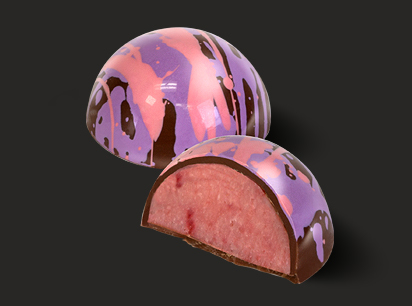 Ingredients: chocolate (sugar, cocoa butter, whole milk powder, coca mass, emulsifier: soya lecithin, natural vanilla), cream, butter, glucose, honey, sugar, raspberry, apple juice, almond praline, hazelnut praline, caramel, peanut butter, coconut, cherries, lemon passionfruit, pectin, flavours, salt, tartaric acid, chilli, colours. 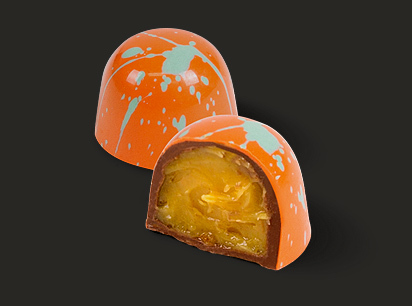 White chocolate ganache, mango puree with chilli & lime. 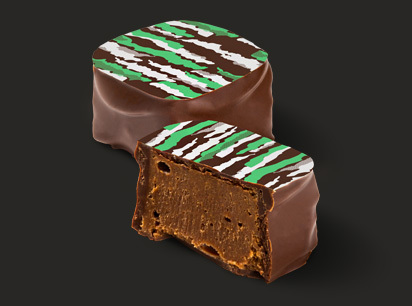 A perfect combo of Baileys Irish Cream™ and gooey caramel.